The wonderful folks over at Wildcrafting Wednesday have nominated my post on Dutch Oven Bread - Only Four Ingredients for a People's Choice Award! This is really exciting to me since I having been blogging for less than a year. 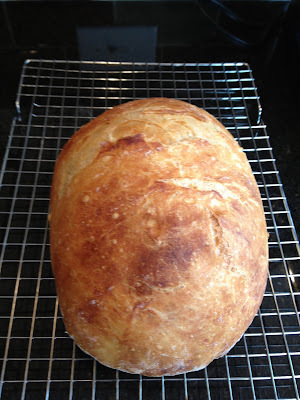 And my Dutch Oven Bread post was one of my first posts. Ten posts in all have been nominated for the Wildcrafting Wednesday People's Choice Award. Voting on the winner will take place from January 1, 2014 through January 5, 2014. Please visit the six blogs that sponsor Wildcrafting Wednesday and vote for your favorite on each of the six blogs. If you vote for my post, I thank you! There is some great material here so you should check it out even if you don't want to cast a vote. Three winners with the most votes will be announced Wednesday, January 8, 2014. Remember you may vote for your favorite blogger on each host site, so be sure to visit each site to cast your vote!